Hey you guys! Happy Thursday! This week is such an exciting week, MY SISTER IS GETTING MARRIED this weekend and I could not be happier for her. Between the nail and hair appointments, we have so much to do, but I wanted to share this outfit from my trip back home to Myrtle Beach last weekend. So, let’s jump right in! Not a big surprise that here I am again in a casual outfit! I knew I would be shopping for an entire day this day, so I wanted to be comfy! You know ya girl can do some serious shopping, haha! I am all about practical, comfy clothes that I still feel stylish in, and having good basics in your closet is key to styling outfits daily. This shirt is from the ‘basics” section of Forever 21 and was super cheap! The cardigan is also from Forever 21 and when I saw it, I had to have it because it is so unique. It’s longer than most, has a hood, splits down the sides and is super lightweight. I love the way it looks paired with ripped jeans, a casual tee and a hat like in this post, or you could also dress it up. Very versatile! 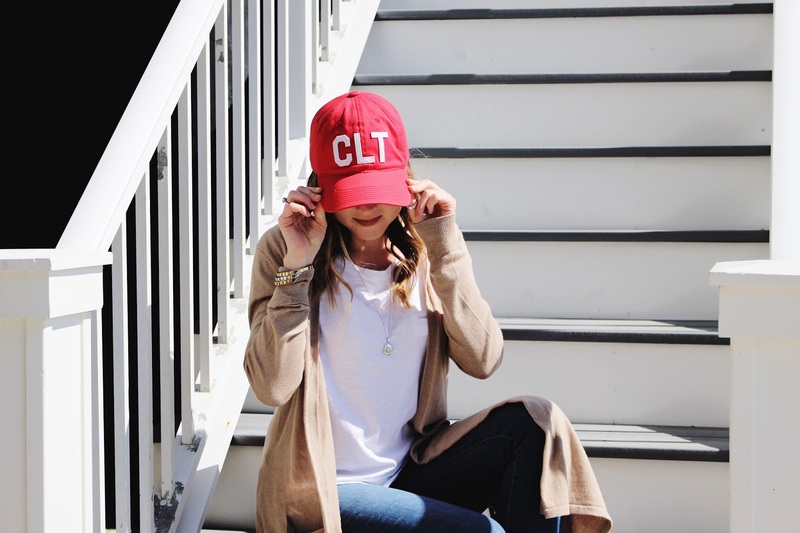 Let’s talk about how cute this hat is! I love the pop of red added to the look. 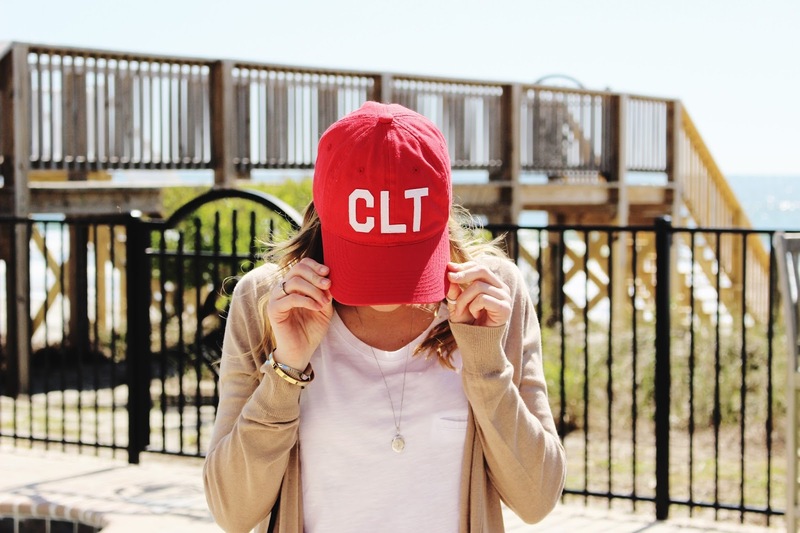 I got this hat as a gift from my boyfriend when we moved to Charlotte and wanted to share it because this week marks our one year anniversary of living in Charlotte together. I cannot believe how fast the time has flown by! It’s been an amazing adventure and we love this city more and more each day. SO MANY EXCITING THINGS HAPPENING THIS WEEK! I cannot wait to watch my sister marry the love of her life on Saturday! Now off to practice my Maid of Honor speech! wish me luck, I’m super nervous! Shop my look by clicking the pictures below! Love the cardigan, it looks super cozy and the perfect layer for spring! Thanks girl! It's super comfy! I love this outfit! Makes me want it! Thanks so much! You definitely need this cardigan! Thank you! Comfy outfits are my go-to! Thank you! It was perfect for a day full of shopping!